When we first built our little house, I thought our kitchen was HUGE. I had all kinds of cabinet storage. My countertop seemed to go on for miles. And plenty of room for a big round farmhouse table. Over the years, our kitchen space has “shrunk”. More kids. More stuff. That lovely round table no longer works with the flow of our kitchen. Thus my search for DIY Kitchen Table Ideas. Yep, we are going to make our own kitchen table. And by “we” I totally mean my father and my husband. Shhh! I haven’t told them yet. 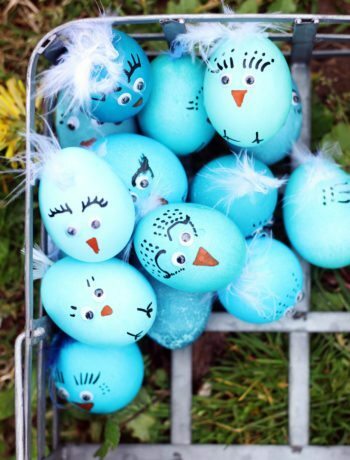 But here are some ideas that I really like. I have a confession. I have never purchased a NEW kitchen table. My family has always been fortunate enough to inherit kitchen tables and other furniture pieces from other family members. This is a huge saving for our household. And as long as your personal style can handle mix and match, then the hand me down plan works like a charm. Over time, however, your family’s needs may change. Just like our post on Kitchen Islands, you have to find the right piece to match your needs. Right now, I need to downsize my table and change the shape for a better flow in the workspace. Especially since I spend so much time blogging in my kitchen, I need something more functional that suits our space. I was inspired to start looking for ideas by this post of 17 Practical Woodworking Projects by Electro Saw HQ. 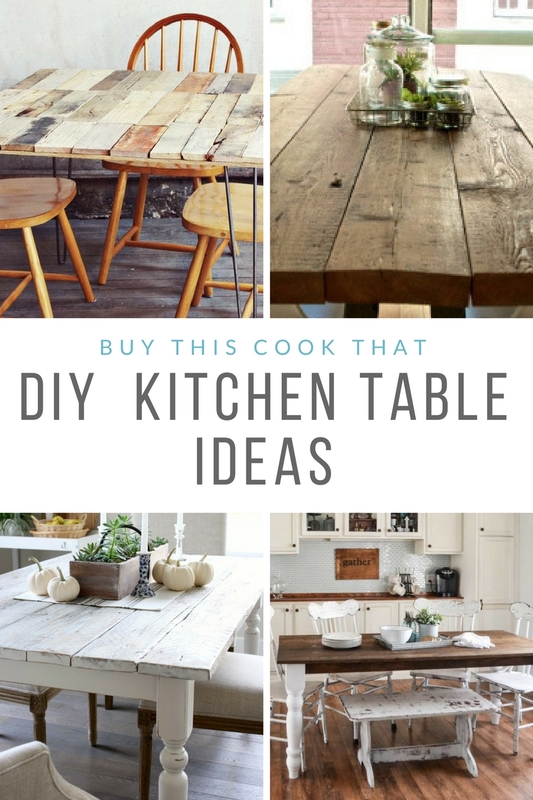 Here are some DIY Kitchen Table Ideas that I love. What do you think? #1 – Tones of Grey – Ok I’m really digging this table. And with these colors, it should fit into my decor for a long time. Love the legs and the size of this table. Project by Rooms For Rent. 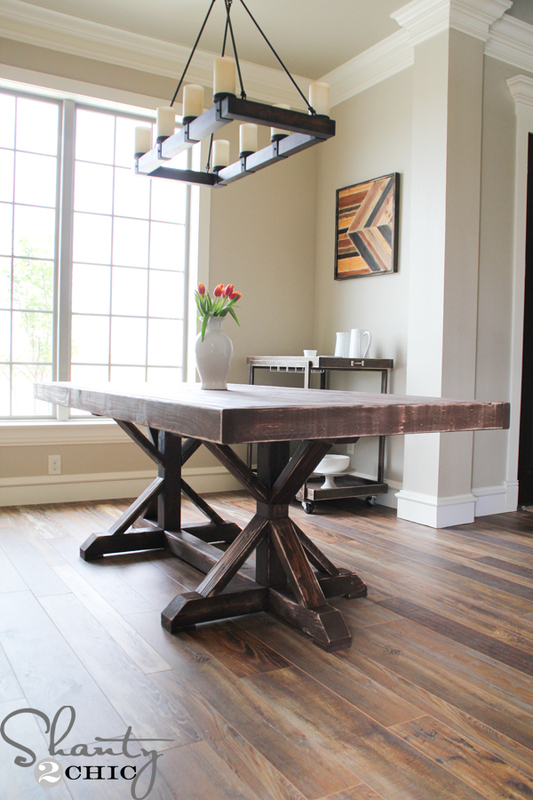 #2 – The finish on this wood table is gorgeous. My favorite part? The extension on the end …when company is over. Project by DIY Projects. 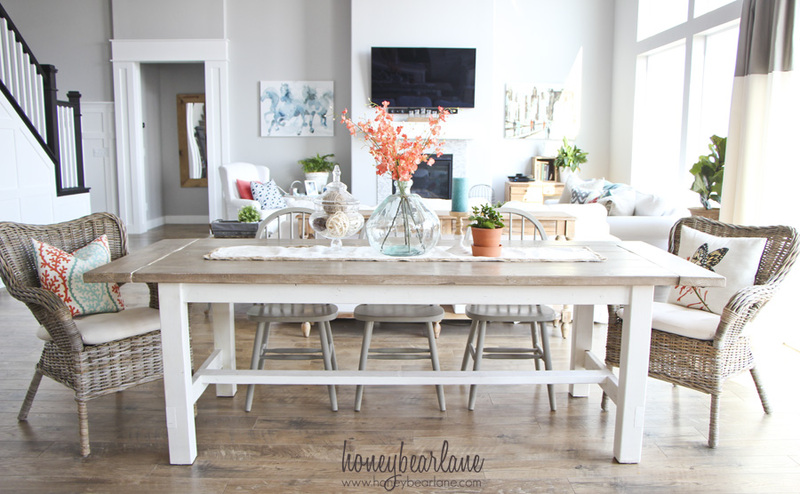 #3 – This just might be my favorite DIY Kitchen Table idea in this post. Very similar to the first one, but with different finishes. Plus this is the perfect size for my small kitchen. What do you think? Project by My Creative Days. 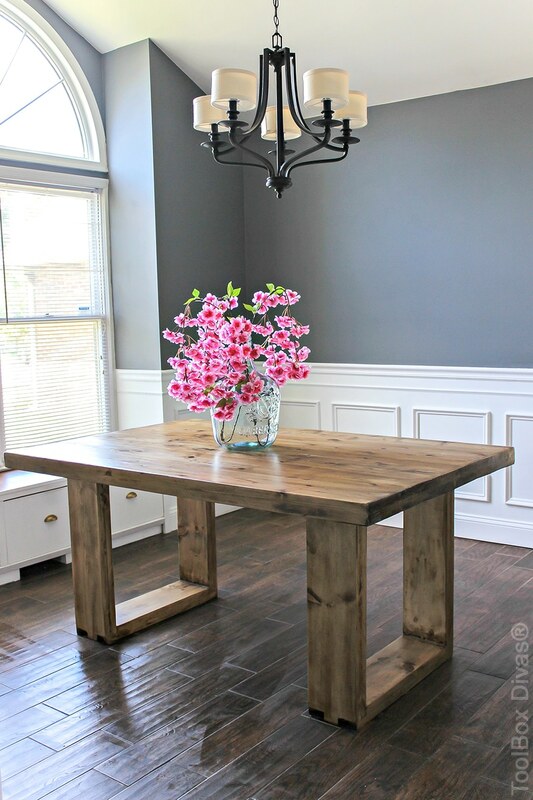 #4 – This sturdy DIY kitchen table is stunning and would be the focal point of your kitchen or dining room. Love the thickness and dark finish. Project by Shanty 2 Chic. 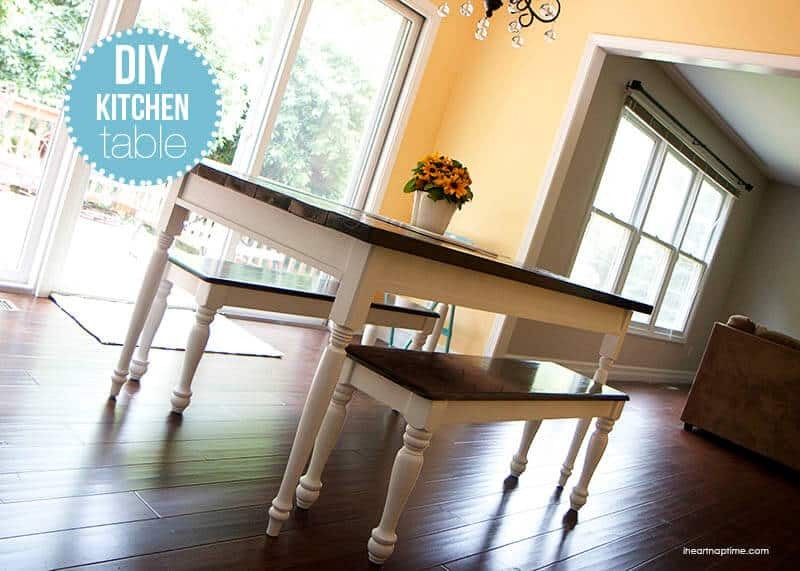 #5 – A perfect and classic little DIY kitchen table idea. This one may be what we build. 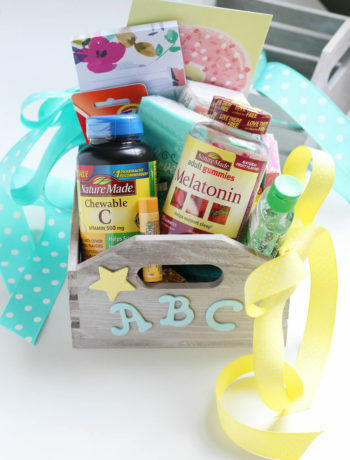 Project by I Heart Naptime. 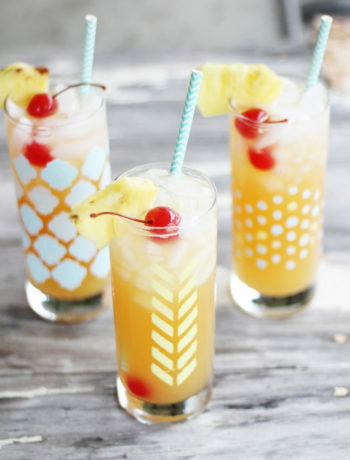 #6 – Or…this one! 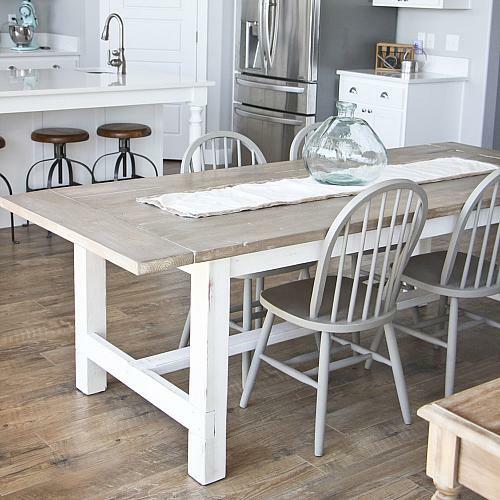 I am in love with the simple design and the square legs on this kitchen table. We would have to scale down the size just a little to work for our kitchen space, but otherwise this is a great choice. Projet by Honey Bear Lane. #7 – This kitchen table idea is the perfect size for me. Again, I love the simple designs and the square legs. Not sure what I’d do about the cat on the kitchen table, but …oh well. Project by The Boxy Colonial. 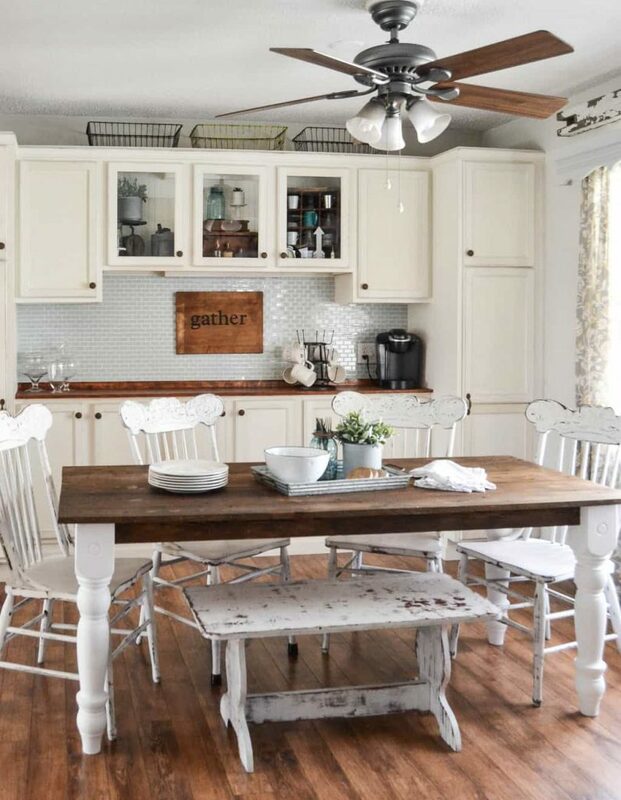 #8 – Do you love the white washed top on this kitchen table? I think I do! 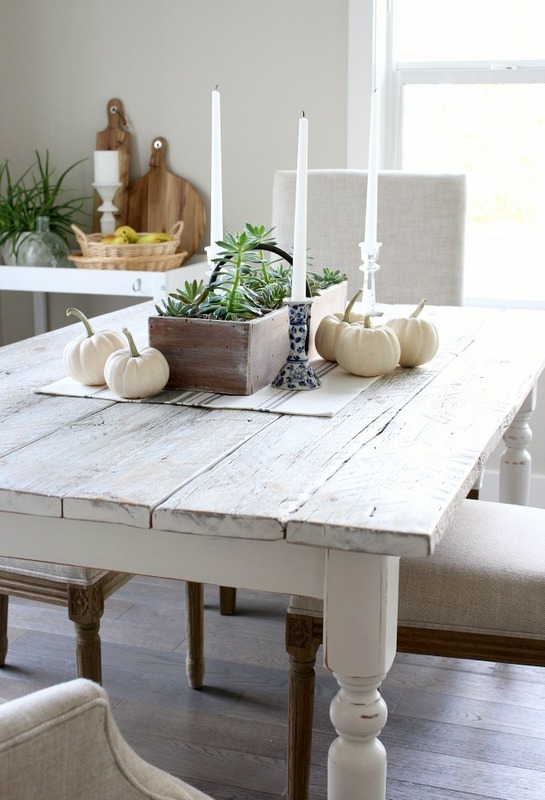 Another classic and simple farmhouse table design, but the table top is beautiful in white. Project by Satori Design for Living. #9 – A more modern design than the others in this post, but I like it. The thickness of the wood and the finish is very nice. And the size is great. Project by Jen Wood House / Tool Box Divas. #10 – I could not find the original website for this table, so I can’t give you a link to the build plans. But, it looks pretty self explanatory and I am in LOVE. The pallet wood in the different shades really ads a ton of character to your home. #11 – Another one in gray and white. Which is so me right now. I love the table base on this one, looks very sturdy. Of course, the top tickles me, too. I am going to have a hard time making up my mind on this project, ya’ll. Project by Deco Art. #12 – Be still my heart. I am so in love with this. I’ll have to read more about the table base, but the top on this is perfection in my mind. Upcycled wood…simple design. Project by Aspirational Hipster. 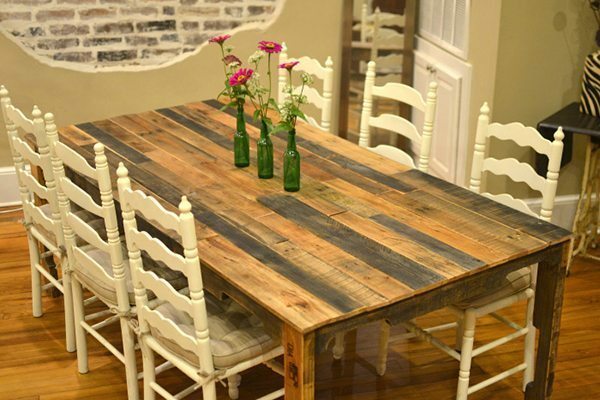 #13 – Another pallet topped table, this one is adorable. Smaller than what I am looking for but looks like a super easy project for a small space. Project by A Beautiful Mess. #14 – I am one of those people that loves to have tons of options, and then worry myself to death making a final choice. THIS IS PERFECTION. I love every single thing about it. Projet by DRK Architects. #15 – Very cool table. Simple, small, and love the modern touches. Also loving the wood finish. Project by Modern Legs. Here is a great link to 17 Practical Woodworking Projects from Electro Saw HQ with more inspiration for your next DIY Project. Also check out 20 Fabulous + Functional Farmhouse Trays for cute storage ideas.